1632: most likely born in Kamigata. He becomes disciple of Morita Tarobê I at an unknown date and performs under the name of Bandô Matakurô I as a dôkegata in Kyôto theaters. 1659: Matakurô and his master go together to Edo. 9th lunar month of 1659: they apply to the authorities for the licence to open a Kabuki theater in the district of Kobiki-chô. 1st lunar month of 1660: opening of the Moritaza. 14th day of the 1st lunar month of 1660: a fire breaks out in the district of Yushima, which destroys the newly-constructed Moritaza. 5th lunar month of 1660: opening of the rebuilt Moritaza in the district of Kobiki-chô. 1660~1661: Matakurô goes back to Kyôto to perform there. 1662: Matakurô and Tamagawa Sennojô I go together to Edo. 11th lunar month of 1665: Matakurô opens his own theater, the Matakurôza, in the district of Sakai-chô. His program is made up of "Sagano Chôja", "Ise Ura Kaishi", "Akazomeemon", "Kagekiyo Komai", "Mukashi Odori", "Yakko Momijigari" and "Banji Tama". His casting includes the actors Tamon Shôzaemon I, Dekishima Kozarashi I, Tamamura Kichiya, Komai Shôzaemon, Umeda Mon'ya and his son Bandô Matajirô I. 1st lunar month of 1667: Matakurô produces several short dance-dramas in his theater, including "Sumiyoshi Mondô" and "Asagi Zakura". 5th lunar month of 1668: his second son takes the name of Morita Kan'ya I. 11th lunar month of 1675: Matakurô performs at the joint venture theater managed by Morita Kan'ya I and Kawarasaki Gonnosuke I. The others actors are Matsumoto Kozarashi, Yamakawa Naiki, Tamamura Kichiya and Bandô Matajirô I. 25th day of the 6th lunar month of 1677: his master Morita Tarobê I dies. 25th day of the 2nd lunar month of 1679: his son Morita Kan'ya I dies. Spring 1679: Matakurô's grandson Bandô Fukutarô takes the name of Morita Kan'ya II and becomes the new zamoto of the Moritaza. 1685: Matakurô and his grandson Bandô Matatarô I perform together at the Moritaza in the drama "Usuyuki Monogatari". 1690s: Bandô Matakurô I takes the name of Bandô Tarobei and retires. 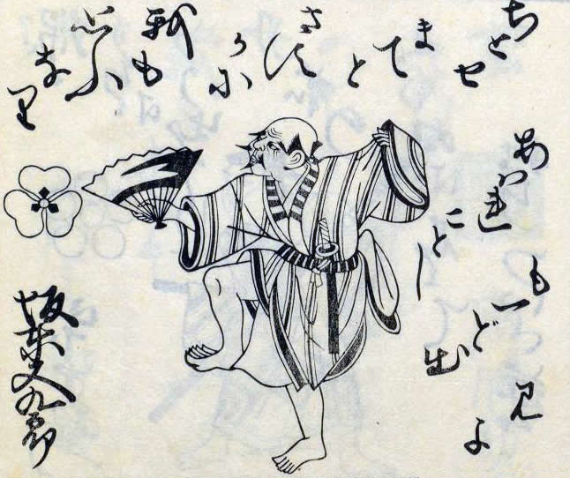 11th lunar month of 1699: Matakurô's grandsons Morita Kan'ya II and Bandô Matajirô II respectively take the names of Bandô Matazaemon II and Morita Kan'ya III. 10th day of the 4th lunar month of 1700: Tarobei dies in Edo. Bandô Matakurô I was the founder of the Bandô clan. He took part with his master Morita Tarobê I in the foundation of the Moritaza and his second son Morita Kan'ya I became the second official zamoto of this theater. He occasionnally worked as a zamoto in the second half of the 1660s. As an actor, Bandô Matakurô I was a renowned dôkegata, excelling in comical hyôshimai.